Incumbent president Goodluck Jonathan has just conceded defeat to the president elect by an overwhelming majority General Muhammadu Buhari. 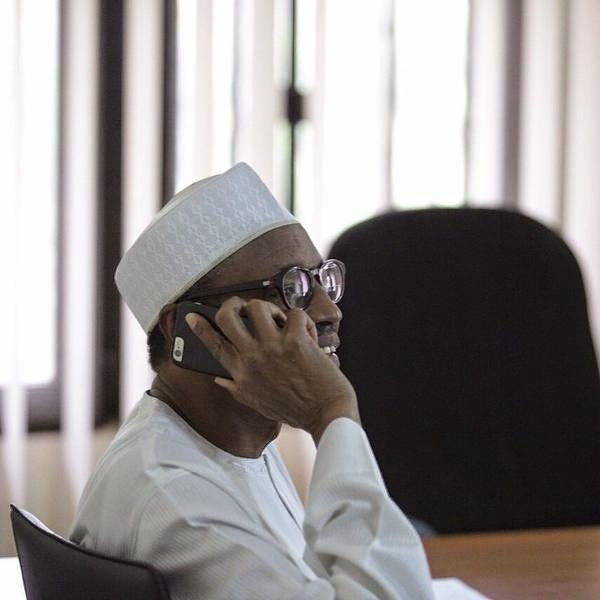 He congratulated the president elect via a phone call at exactly 17.15 pm Nigerian time. 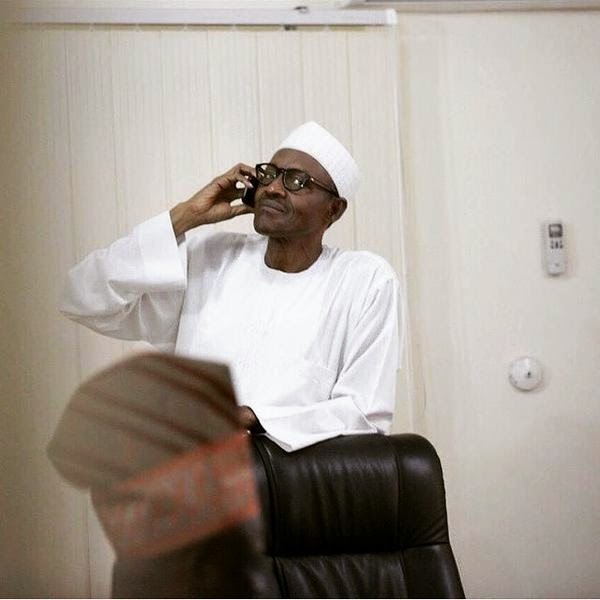 The picture above is the moment Buhari received the call from GEJ. The APC presidential candidate is reportedly receiving well wishers at his private office in Abuja, pending an official announcement from INEC.